Npower is taking on British Gas in the smart home sector by partnering with Google-owned Nest Labs to offer its customers an internet-enabled thermostat. The partnership will involve Npower providing an "Intelligent Fix" tariff until April 2017 for an installation fee of £99, with energy charges £1 a month higher compared to standard charges. The Nest Thermostat "learns" customers' preferred temperatures to create a personalised schedule, and can sense when no one is the home and automatically turns down the heat. It can also be controlled with a smartphone, tablet or laptop to alter it on the go. British Gas was the first of the big six energy firms to move into the smart home market when it launched its Hive sub-brand in September. The first product to launch under the sub-brand was Hive active heating, which allows customers to control their heating and hot water remotely via an app, SMS or website. 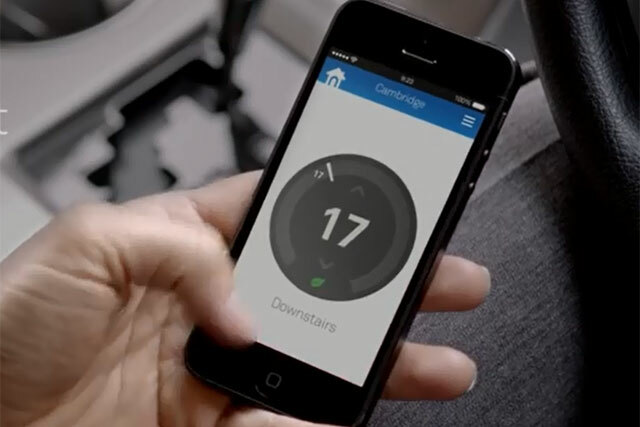 British Gas is experimenting with the idea of "smart" tariffs that fluctuate depending on the time of day a customer uses energy, and has begun selling its Hive product in Apple stores. The news comes as Apple reportedly prepares to reveal a new smart home technology platform at next week’s Worldwide Developer Conference. Google is currently running a large-scale outdoor ad campaign in the UK for its Nest products after acquiring Nest Labs for £2bn at the start of the year. The advertising does not carry Google branding and there is also no mention of Google owning Nest on the website promoting Npower’s partnership with Nest. Last week, it emerged that Google predicted the future of advertising would see ads appear on "refrigerators, car dashboards, thermostats, glasses, and watches" in an SEC filing. However, Nest founder Tony Fadell denied suggestions that ads would start appearing on Nest thermostats.